Post #66 Poll Winner: Favorite Metallica album from the 80's Master of Puppets, Metallica's third studio album recorded in 1986, set a high standard for excellence in thrash metal. To this day many say this standard has yet to be eclipsed. Master of Puppets is such a complete realization of thrash-metal musicianship that it is constantly being referenced as an influence, inspiration, and a benchmark for the genre as a whole. Few heavy metal albums can even come close to this standard of excellence. As a band, Metallica seemed to just be taking off at this point in their career. Master of Puppets was certainly the most focused effort of their first three albums, as they became an underground phenomenon in the world of heavy metal. It is also the last album written while legendary bassist Cliff Burton was still alive. His unique contributions to song-writing are perhaps most apparent on the instrumental "Orion". Ever since this album's release it seems that Metallica have always been challenged to duplicate its level of creativity, musicianship and attitude. 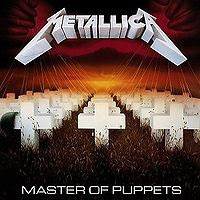 Other works may have achieved a greater commercial success, but many of Metallica's die-hard fans will always regard Master of Puppets as their greatest recording. 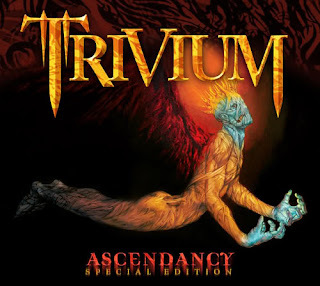 I had many reasons to add Ascendancy, Trivium's second album, to my music collection besides the simple fact that they've become one of my new favorite bands. 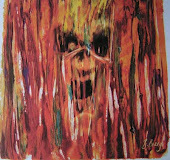 One, it was the album that first sparked praise from heavy metal veterans like Iron Maiden and Metallica. Two, I'll be seeing them this summer on Rock Star Energy Drink's Mayhem Festival! But probably the most influential reason I collected this album was that it was available in a special edition, with bonus tracks and a bonus DVD with videos and live performances!!! With Ascendancy, "The End Of Everything" is only the beginning. It's a great mood-setting instrumental intro to the album... a subtle clean-guitar minor key progression overlayed with piano that nearly slips out of key in a semi-frantic rhythym. Just when the notes fall into place and reach their musical peak, the stage is set for "Rain". "Rain" may be the heaviest song Trivium have written. It has a lot of 'crunch' in the guitar tones, like Metallica and Anthrax had back in their mid-80's prime. In fact, I'd probably say that Ascendany is the heaviest Trivium album of the 3 I've heard so far. Track after track, you're getting a good dose of classic thrash-guitar riffs. Heafy & Beaulieu enhance every song with their masterful guitar solos and duals. This being the 3rd Trivium album I've added to my music collection, I still highly recommend it. Besides the guitar tones being very heavy, the vocal delivery on almost every song on this album is also very hard-core, as this album finds Matt Heafy employing metalcore screaming vocals in more abundance than on either The Crusade or Shogun. He still breaks into melodic singing segments in almost every song, but they are less common here than in Trivium's newer material. The one exception to this rule would be "Dying In Your Arms". In sharp contrast to the rest of the album, "Dying In Your Arms" is very melodic, and perhaps the 'softest' song (at least as much as Trivium can write soft) in their entire recording history. Still, the song fits well on this album. It provides an essential element of Trivium's sound, and shows a different side of their potential, rounding out this album in fine fashion and begging Ascendancy to be called a masterpiece for such a young band. Second; this edition comes with a DVD of music videos AND live performances of each of the following songs: Like Light To The Flies, Pull Harder On The Strings Of Your Martyr, Dying In Your Arms, A Gunshot To The Head Of Trepidation, and Rain. If you've enjoyed any of Trivium's other music, or liked any of my previous reviews or recommended tracks then go and find these too!